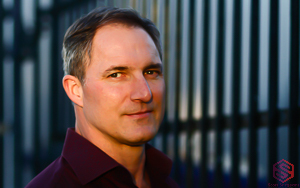 Scott Sargeant is an inspirational speaker and business, success and mental performance coach. He has been an Aerospace Engineer, an NCAA Champion and an Olympic-level Athlete. He is also a recovered Quadriplegic, paralyzed from the neck down following an incident that shattered two bones at the base of his neck and badly crushed his spinal cord. He may also be one of the most inspirational people you will ever meet. Scott is the founder of The Sargeant Group, a coaching, training and inspirational speaking organization dedicated to helping business professionals gain a competitive advantage by increasing revenues and profits. At the same time, he teaches clients how to have more balance and freedom in their lives regarding their personal time, fitness and fulfillment. He also works with people outside the business sector who want to take control of their lives on a more personal level, including people dealing with issues of depression and suicidal thoughts. 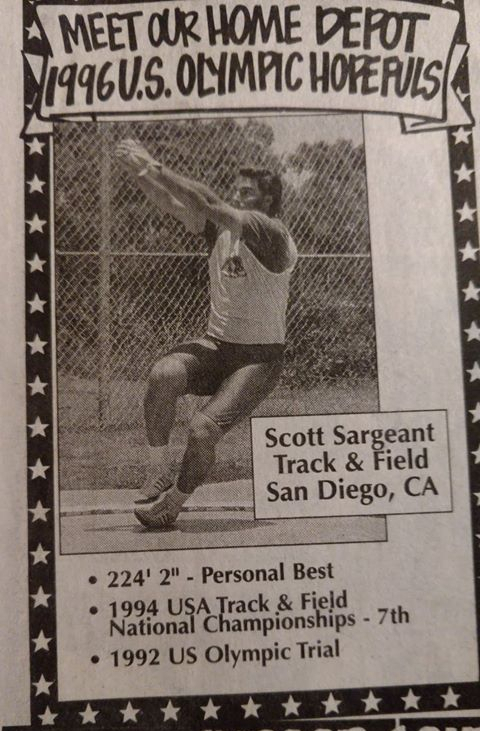 As a young man, Scott was blessed with incredible physical prowess and had a passion for soccer and baseball, which he later channeled into track and field in high school. While attending UC San Diego, Scott discovered the hammer throw -- a sixteen-pound metal ball at the end of a steel wire that you spin around and throw from a seven-foot circle. He rapidly excelled to success at the national level, and went on to become a four-time All-American, two-time NCAA champion, and broke the collegiate record in the sport at his level. At the same time, he was completing work on his degree in Mechanical Engineering. After college he went to compete in two US Olympic Trials. and began pursuing what would eventually be a decade-long career in the aerospace industry. But it all came crashing down, literally, one day. That was the day he went headfirst down a flight of 14 concrete steps, landing on his head and shattered two cervical vertebrae and badly crushed his spinal cord. When Scott woke up in the hospital, he was unable to move or even feel his arms or legs. The doctors told him that he was a quadriplegic and would never walk again. As Scott was processing this news, his head coach called. As a nurse held the phone to Scott’s ear, his coached asked if he was going to give up and quit or fight and recover. Scott chose to fight, and used every bit of inner strength and training he had learned as an Olympic-level athlete, and managed to walk out of the hospital under his own power just six weeks later. But there was a deep, dark secret that Scott kept for years, a secret that ate away inside him and made him feel like a fraud every day. That secret was that the “accident” was no accident. Because of personal issues and an unwillingness to admit he needed help, Scott had spiraled into the depths of depression. He had reached the point that suicide seemed the only way out, so he intentionally dove headfirst down that flight of stairs in a desperate attempt to end all the pain. In a way it did because it forced Scott to finally come to terms with the real mental and emotional issues and those aspects of himself. This is why Scott is so successful working with people dealing with depression and suicidal thoughts. While many people working in this area have the best intentions, few of them have the real life experience to draw on. Scott has lived this. He understands the thoughts and feelings. Scott may not have all the answers, but he has the empathy and compassion that people struggling with these issues deserve. Scott Sargeant is a very special person with a very special skill set and story. His style and methods may not resonate with everyone, but there is no denying that his story is inspirational. Scott was able to go from zero to hero not once but twice, and the second time against seemingly insurmountable odds. His experiences could be the catalyst for you or your organization to take that next step toward success. While Scott’s talks have touched large audiences, such as this TEDx Talk at Donovan State Prison (where he first shared the secret behind his “accident”), it is working one-on-one with individuals where he truly shines. Scott works especially well with incredibly focused entrepreneurs, athletes or high achievers; people striving to achieve the extraordinary or what some would call “the impossible”; people committed to make a difference in the world beyond themselves. He also works with individuals that are struggling mentally with their perceptions of being at the bottom and wanting to climb to the top, or, literally, someone that needs help with learning to walk again. Those are the types of people that tend to see the greatest results. If you are ready to take that next step, or if you are interested in inspiring your organization to move forward, Scott Sargeant may just be the man you need. If you would like more information about working with Scott on your goals, or if you would be interested in having him speak to your organization, please email Scott at Scott@ScottSargeant.com or call (858) 353-4354.